Desertfest are psyched to announce that RAMESSES have been added to Desertfest 2013. 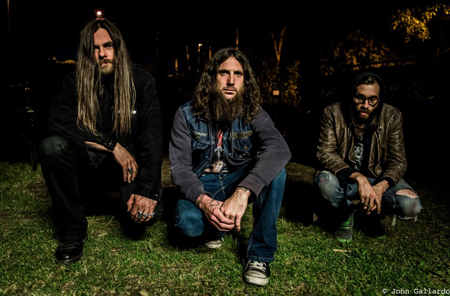 The Psychedelic doom trio from Dorset was formed back in 2009, by former founding members of Electric Wizard, Tim Bagshaw and Mark Greening, with Adam Richardson completing the three. A wall of brutal destruction is to be expected from these purveyors of the torrential riff, alongside some downright filth. To catch them live is a must, with their doomed fluidity and the chance to witness them on a mammoth jam is always a treat, even if it’s just to see the 30″ crash cymbal. RAMESSES will rule at Desertfest. Desertfest 2013 takes place between 26th – 28th April 2013 over 4 venues in Camden, London and tickets go on sale on the 13th November at Leedstickets.com.